Another underwater landscaping wonder is the red-glowing stem plant called Alternanthera Reineckii Mini. This aquatic species provides emphasis on the concept you would want to convey to your spectators. Originated from South America, Alternanthera Reineckii, in its wildest form grows best in submerged condition. It is found lying on riversides, wetlands, and in moistened areas due to flooding caused by rains. Yet, its miniature size can be produced and cultured through a systematic form of cultivation derived from its natural source. At the present time, there are five known varieties of Alternanthera reineckii that are cultured into dwarf miniatures. Among them is AR Mini, which is an easy cultivar and is the widely spread variety in aquatrade. Its widespread distribution in European countries began in 2007. Even to date, a variety of this species of plant is always available in horticulture and pet fish shops. Alternanthera Reineckii Mini is a delicate dwarf variant of the stem plant, Alternanthera Reineckii. It is a demanding low-growing aquatic plant that displays colorful hues on its leaves. The slow growth of this red miniature acquatic plant makes it unique as compact foreground plants are to small tanks, with its bushes setting an accent to the overall look. There is not much of a distinction between the two forms. The plant on its emersed state is capable of producing flowers and can form into a long stem with prolonging internodes. The submersed form, on the other hand, displays an intense coloration. Height: 5 - 30 cm. Width: 5 to 10 cm. Alternanthera Reineckii is a popular aquatic herb in the Dutch aquascape because of its shining crimson-red and brown hues. Also known as AR mini by aquarists, this bushy and well-branched stem plant can also be grown in its miniature form. Its dwarfed form can suit any size of aquarium, even nano tanks. 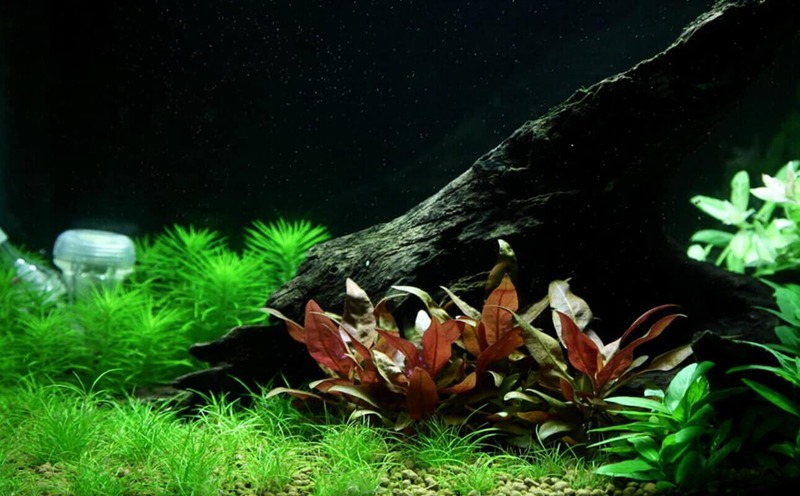 You may want to position the plants to stress the middle part of the tank, but it is best to use them decoration for the background or foreground. Aquascaping possibilities are endless, but knowing how to maintain equilibrium in your tank is a must. The miniature version of Alternanthera Reineckii is characterized by its slower and much compact growth rate. This is why it is named Alternanthera Reineckii Mini, making it more suitable for nano aquariums. Regular pruning will produce more baby stems that can multiply anew. It also diminishes the bushy look that might block the view of your other favorite plants in the tank. Provide your plants with enough carbon dioxide and sufficient iron to maintain its perfect coloration and satisfactory growth pattern. It will grow abundantly in quality substrates, in conducive conditions and optimum illumination. The plant can propagate abundantly in an aquarium, as long as it is provided with proper care. It is a simple and uncomplicated process, even for new hobbyists. Planting should be done meticulously. Be sure to cut the stems first before pushing it deep through the substrate to prevent it from floating away. The stems should be individually planted with a spacing of 1.5 inches from each other to allow light reflection to reach the lowest portion of the leaves. If the plants are to be placed in a small aquarium, you may want to plant them by groups at the center. At the strike of light, the coloration display will be an amazing sight. You may separate the bushes and arrange them in clusters and cut the topmost part and lateral shoots. Using a specialized tool or a pair of tweezers, trim the herb plants in a way it will appear neat and dense. Trimming the bush to 5-10-centimeter-height will give you more amazing results compared to a purple-red carpet spread on the substrate. But be sure to choose an organic, nutrient-rich soil powder to allow secured planting and easy absorption. Cut the shoots into the section from mature and healthy plants to yield new roots out of those particles. Eventually, these will anchor steadily in the substrate to begin the growing process. Although it can grow up to 20 centimeters, the length of which it will be trimmed will be up to you. Make sure to not overdo it. To propagate the AR-Mini version, cut the stems and simply replant individually or by group. Whether you prefer its natural or dwarfed form, there is neither difficulty nor distinction in its propagation. However, there is also a cultured version of this species. The Tissue-cultured plants are planted in vitro cups, adopting a state-of-the-art laboratory that specializes in aquarium plants. This process guarantees you the finest AR Mini in the market, without unwelcome pests that may contaminate your tank. Take off the tissue and drop the gel completely by soaking and squeezing. 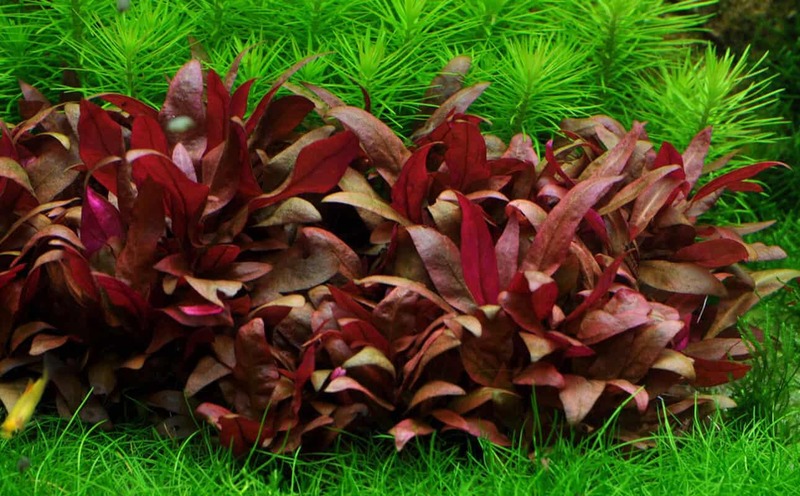 Alternanthera reineckii Mini is popular among aquarium enthusiasts because of its shining hues. Over time, there will be five notable cultured variants of this plant. Among them is the well-known AR Mini which is an easy cultivar, most widespread of its variety, and priced reasonably. By the looks of it, these tiny yet pretty AR mini plants can exhilarate energy to your tank. This is one of the few red creeping plants that display allure to the whole set up. The delicate leaves of Alternanthera Reineckii Mini come in vibrant shades and shapes. Each leaf appears to be sage green, that can turn brown on its upper part, and purple to magenta red on its lower part. Pet fish and plant lovers like you may adopt this plant without second thoughts. It offers a pleasant view which you can regard as the center of attraction in your tank. 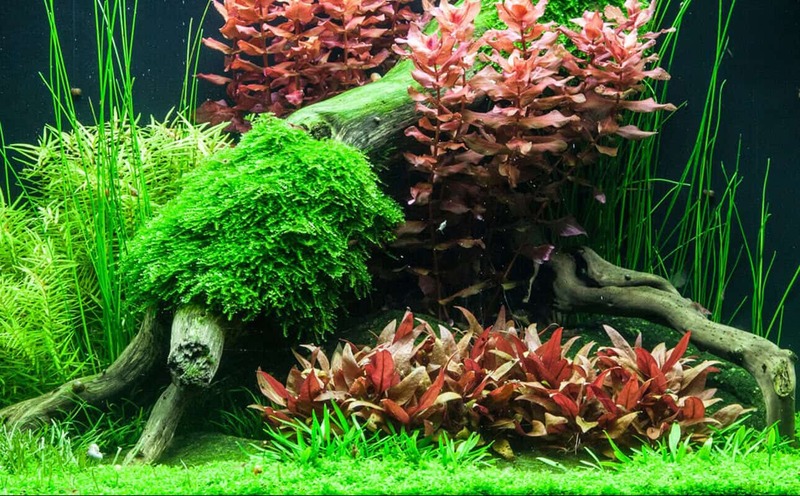 Aquarists are more likely to recommend this herb spread along the substrate like a red carpet landscape underwater. If you are a newbie in aquascape, plan ahead the design of your aquarium to convey the concept you have in mind. The Alternanthera Reineckii Mini, in all its glory, can provide the perfect touch to the aquarium you dream of. Aquascape.guru is aimed to be the top rated hub for all aquarists and aquascapers around the world.